The iRiver clix is an awesome little multimedia player that has a very easy to use interface and is able to play music, videos, photos and text. You can use it to listen to the radio, as an alarm clock, it’s small enough to hide in your hand and still has a 2.2″ viewing screen. It has 2G of storage, which lately is a little on the lite side with similar devices, but aside from that and needing to touch the screen a lot with your fingers (comes with a cleaning cloth), the iRiver Clix is a smooth gadget. 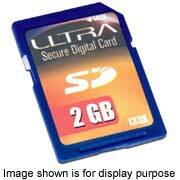 ZipZoomFly has the Ultra 2GB 133X Secure Digital Media Card for $19.99 after $30.00 mail-in rebate with Free Shipping. Sweet-ahhh. Expires 10/03/06. Nokia announced today an agreement with Microsoft to embed functionality into its Mobile Search platform. Mobile users will now have access to Live Search directly from their compatible Nokia S60 devices. The Mobile Search experience from Nokia lets users find search results faster because search will be accessible directly from the menu screen. In addition to search, Microsoft will provide advanced features such as stock quotes, movie times, and information via Encarta Instant Answers. Years ago when Rubik’s cubes were new and popular I worked on one for weeks and eventually developed a system for solving them in a relatively short amount of time. I was able to do this because I figured out that the colors were adhesive stickers that I could remove and stick back on where I wanted. 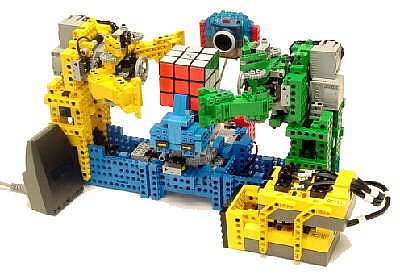 Pictured here is a machine made out of legos that not only can manipulate the Rubik’s cube, but it can also identify the color and solve the puzzle. At around 30 seconds a move it takes a little longer than just moving the stickers, but it can usually solve the Rubik’s cube puzzle in around 20 moves. Disney has added a digital movie player to the mix of things available for the upcoming holidays. 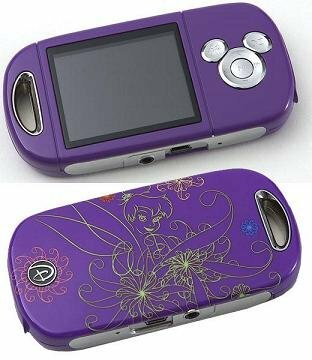 The Disney Mix Max Movie Player comes in three styles – Tinkerbell, Forever Princess and the recently popular Cheetah Girls. Disney is also planning on updating the Mix Stix player and adding new music, along with introducing the Mix Micro music player with a smaller memory capacity and price. You can buy only Disney movies for the Disney Mix Max, from Disney. So, looks like they have it covered. 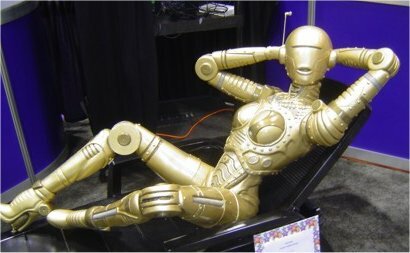 The Gigabeat web site alone makes me like this gadget. They have done a good job building a nice interactive Flash site, and of course it has music with an awesome beat, which brings us to the MES60VK Gigabeat multimedia device. 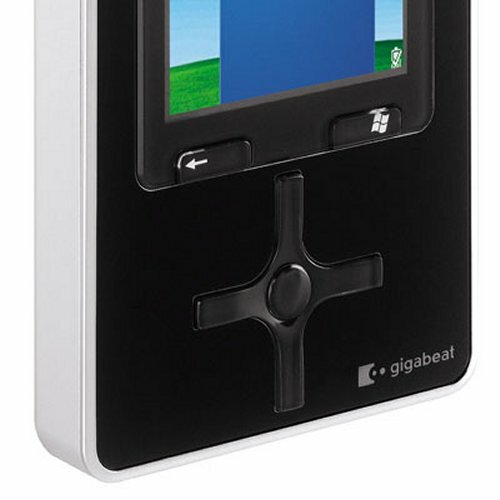 The Gigabeat MES60VK version from Toshiba has a 60GB drive to hold your music, video, TV shows, movies and pictures. You can transfer video through the Windows Media Player, buy movies for the Gigabeat at Vongo, and get music with Microsoft’s Plays For Sure. Al of this is accessible to you through an easy to use navigation control and a 2.4 inch color panel. The only thing that would make this a little cooler is if you could record audio and/or video with it, but at least in this version you cannot. 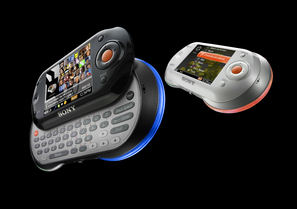 In an attempt to win over the minds and money of generation Y consumers, Sony released its latest gadget, Mylo. The Mylo is a Web browser, messaging program, wireless phone and digital music player all rolled into a single handheld gizmo. The Mylo works on any Wi-Fi wireless Internet connection allowing you to surf the web wherever you can find an 802.11b hotspot. 1GB of internal storage for music, photos and MPEG-4 video files. The Mylo also includes a slot to add a Memory Stick. Surf the web using Mylo’s Opera Web browser. Contact friends using Yahoo Messenger, Google Talk or Skype. Read your Yahoo, Google, and Microsoft email. OK, so I use wireless mouse, and about every 6 months or so it starts getting flaky and I realize that I need new batteries. Of course I do not have any spare ones because I loaned the other two spare I had from my 4 pack battery purchase to the guy in the cube across from me for his MP3 player; and no, he does not have any spare batteries now either. If only I could have recharged the batteries that I have without having some bulky battery recharging station thing that I had to buy and keep in my drawer or something…. 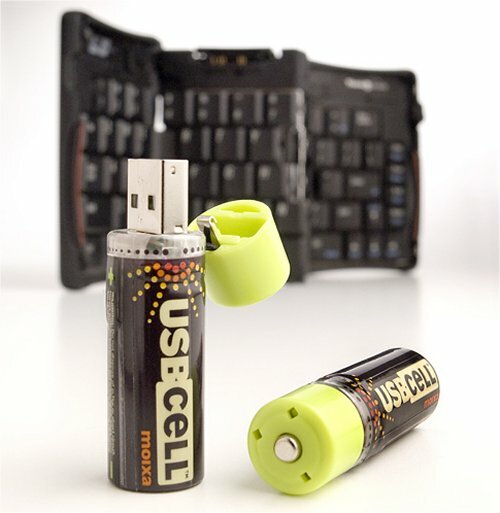 Well, for me the picture here says it all: USB rechargeable batteries. RealNetworks recently announced the launch of Rhapsody DNA, a new technology platform that enables device makers to deliver a seamless Rhapsody services to consumers via a broad range of media devices. RealNetworks also announced a partnering with SanDisk to create a digital media player that will utilize the Rhapsody DNA platform and directly compete against Apple Computer’s iPod and the upcoming Zune from Microsoft. RealNetworks’s newly created Rhapsody DNA media platform is an alternative to Microsoft’s Windows Media Player. The new platform is based on the company’s Helix digital rights management system. Device manufacturers now have another alternative to Media Player, a welcome option considering the upcoming launch of Zune. MSN announced the beta release of Soapbox on MSN Video. SoapBox is a user-uploaded video service that allows people to upload, discover and share personal videos with the Soapbox community. Soapbox will be available on MSN Video and will be integrated throughout Microsoft’s portfolio of online services, including Windows Live Spaces and Windows Live Messenger. With Soapbox, Microsoft is hoping to capture some of the enormous successes of YouTube. Motorola has gone anorexic with the Moto Q SmartPhone. This is a super thin lightweight smart phone that was slightly spread out when it was flattened to allow for a full QWERTY keyboard and a thumb wheel for easy navigation. 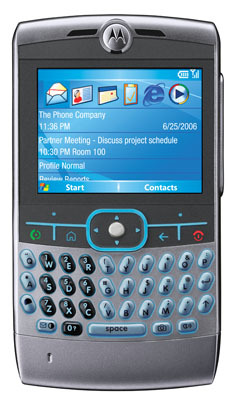 The Moto Q runs on Microsoft Windows Mobile 5.0 with full email integration to sync up all your messages. It has connectivity via Bluetooth and a mini USB connection and works with a variety of Motorola Bluetooth headsets. I also see infrared and 3G internet as wireless ports to the world, but I’m not seeing WiFi. If you are in a city I don’t think this will be a problem, but WiFi is nice to have. Hopefully you are not roaming too close to nowhere either, since analog roaming isn’t making the list. The Walkman really come a long way, and the contrast in neat to see with this new Sony W950i Walkman compared to the original Walkman of 1979. The W950i comes with 4 Gig of flash memory to store lots of music files, and uses 3G for fast web browsing with the Opera 8 browser. The new Walkman also supports streaming video, email, handwriting recognition, sound recorder, 3D games and picks up FM radio. Creative Technology recently launched the Zen Vision W video, photo and music player. This launch comes on the same day former partner and new rival Microsoft unveiled new information on the Zune player. Creative has positioned the Zen media player to compete directly against the Microsoft Zune and Apple iPod players. Creative also discussed its support for Amazon’s Unbox movie and video store. The Zen line of players will run on Microsoft Windows Media and comes in two models: 30GB and 60GB, costing $300 and $400 respectively. The Zen Vision W also has a 4.3-inch color screen, which is slightly larger than the 3-inch screen on the Zune. 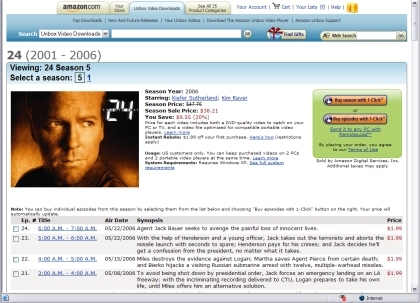 Amazon launched its movie and TV download service earlier this month. The new service is called Amazon Unbox and will allow users to discover thousands of movies and TV shows in the Amazon Unbox video store. The system works by installing the Amazon Unbox video player on your PC. Once the player is installed you can download the titles of your choice and watch the videos on your PC, portable device, or TV (through an s-video connection). One hour of programming is roughly equal to 1GB of disk space. The common file sizes include: 30-minute TV episode=600MB, 1-hour TV episode=1.2GB, 2-hour movie=2.4GB. The Amazon Unbox player does allow you to watch the video while it is still downloading. Although I think that a robot shaped like the top one might have been a better choice for White Box Robotics to use for the injection moldings template for their robots, I think the 914 PC-Bot they ended up with is not too bad looking, in a Star Wars kind of way. 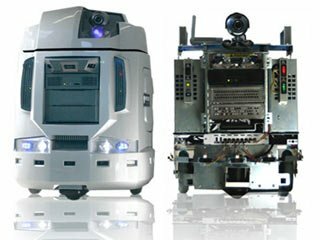 The 914 PC-BOT (the one in white) is a 21″ tall XP Home PC with a number of other features and an API to allow you to develop against it for a wide range of custom behaviors to make your bot a little more life-like, such as navigation, speech recognition and some artificial intelligence algorithms.